Dendrochronology, or tree-ring dating, is the study of growth rings in deciduous trees to identify absolute dates of wooden objects. Tree rings are created by the tree as it grows in girth, and the width of a given tree ring is dependent on climate, so a stand of trees will all have a near-identical pattern of tree rings. The method was invented in the 1920s by astronomer Andrew Ellicott Douglass and archaeologist Clark Wissler. Recent applications include tracking climate change, identifying pending slope collapses, finding American trees in World War I trench construction, and using chemical signatures in tropical trees to identify past temperature and precipitation. Tree ring dating is also used to calibrate radiocarbon dates. As archaeological dating techniques go, dendrochronology is extremely precise: if the growth rings in a wooden object are preserved and can be tied into an existing chronology, researchers can determine the precise calendar year—and often season—the tree was cut down to make it. Because of that precision, dendrochronology is used to calibrate ​radiocarbon dating, by giving science a measure of the atmospheric conditions which are known to cause radiocarbon dates to vary. Radiocarbon dates which have been calibrated by comparison to dendrochronological records are designated by abbreviations such as cal BP, or calibrated years before the present. 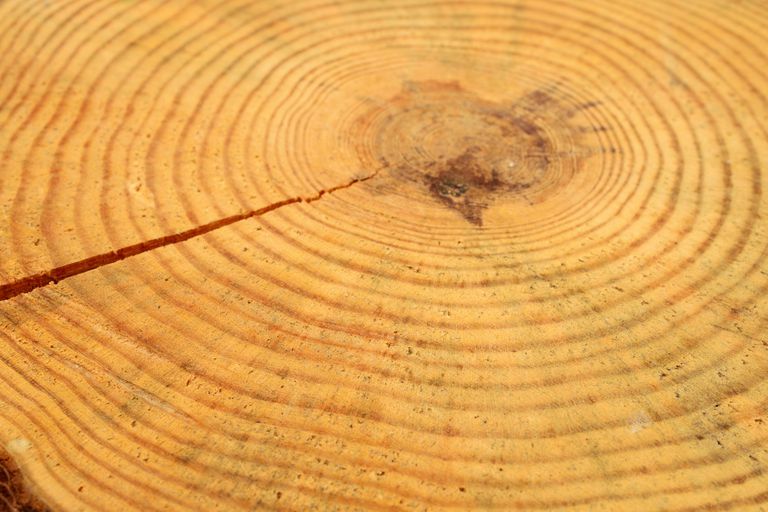 Tree-ring dating works because a tree grows larger—not just height but gains girth—in measurable rings each year in its lifetime. The rings are the cambium layer, a ring of cells that lies between the wood and bark and from which new bark and wood cells originate; each year a new cambium is created leaving the previous one in place. How large the cambium's cells grow in each year, measured as the width of each ring, depends on temperature and moisture—how warm or cool, dry or wet each year's seasons were. Environmental inputs into the cambium are primarily regional climatic variations, changes in temperature, aridity, and soil chemistry, which together are encoded as variations in the width of a particular ring, in the wood density or structure, and/or in the chemical composition of the cell walls. At its most basic, during dry years the cambium's cells are smaller and thus the layer is thinner than during wet years. Not all trees can be measured or used without additional analytical techniques: not all trees have cambiums that are created annually. In tropical regions, for example, annual growth rings are not systematically formed, or growth rings are not tied to years, or there are no rings at all. Evergreen cambiums are commonly irregular and not formed annually. Trees in arctic, sub-arctic and alpine regions respond differently depending on how old the tree is—older trees have reduced water efficiency which results in a reduced response to temperature changes. Tree-ring dating was one of the first absolute dating methods developed for archaeology, and it was invented by astronomer Andrew Ellicott Douglass and archaeologist Clark Wissler in the first decades of the 20th century. Douglass was mostly interested in the history of climatic variations exhibited in tree rings; it was Wissler who suggested using the technique to identify when adobe pueblos of the American southwest were built, and their joint work culminated in research at the Ancestral Pueblo town of Showlow, near the modern town of Showlow, Arizona, in 1929. Archaeologist Neil M. Judd is credited with convincing the National Geographic Society to establish the First Beam Expedition, in which log sections from occupied pueblos, mission churches and prehistoric ruins from the American southwest were collected and recorded alongside those from living ponderosa pine trees. The ring widths were matched and cross-dated, and by the 1920s, chronologies were built back nearly 600 years. The first ruin tied to a specific calendar date was Kawaikuh in the Jeddito area, built in the 15th century; charcoal from Kawaikuh was the first charcoal used in (the later) radiocarbon studies. In 1929, Showlow was being excavated by Lyndon L. Hargrave and Emil W. Haury, and dendrochronology conducted on Showlow eventuated the first single chronology for the southwest, extending over a period of over 1,200 years. The Laboratory of Tree-Ring Research was established by Douglass at the University of Arizona in 1937, and it is still conducting research today. Over the past hundred years or so, tree ring sequences have been built for various species all over the world, with such long date strings as a 12,460-year sequence in central Europe completed on oak trees by the Hohenheim Laboratory, and an 8,700 year-long bristlecone pine sequence in California. Building a chronology of climate change in a region today was first simply a matter of matching overlapping tree ring patterns in older and older trees; but such efforts are no longer based solely on tree-ring widths. Features such as wood density, the elemental composition (called dendrochemistry) of its makeup, the anatomical features of the wood, and stable isotopes captured within its cells have been used in conjunction with traditional tree ring width analysis to study air pollution effects, the uptake of ozone, and changes in soil acidity over time. In 2007, German wood scientist Dieter Eckstein described wooden artifacts and building rafters within the Medieval town of Lübeck, Germany, an excellent example of the myriad ways the technique can be used. Lübeck's medieval history includes several events that are pertinent to the study of tree rings and forests, including laws passed in the late 12th and early 13th century establishing some basic sustainability rules, two devastating fires in 1251 and 1276, and a population crash between about 1340 and 1430 resulting from the Black Death. Construction booms at Lübeck are marked by the extensive use of younger trees, which signal demand outpacing the ability of the forests to recover; busts, such as after the Black Death decimated the population, are denoted by a long period of no construction at all, followed by the use of very old trees. In some of the wealthier houses, the rafters used during construction were cut down at different times, some spanning more than a year; most other houses have rafters cut down at the same time. Eckstein suggests that is because wood for the wealthier house was obtained at a timber market, where the trees would have been cut and stored until they could be sold; while less well-off house constructions were built just-in-time. Evidence of long-distance timber trade is seen in wood imported for pieces of art such as the Triumphal Cross and Screen at the St. Jacobi Cathedral. That was identified as having been constructed out of wood that had been specifically shipped in from 200-300-year-old trees from the Polish-Baltic forests, probably along established trade routes from Gdansk, Riga, or Konigsberg harbors. Cláudia Fontana and colleagues (2018) documented advances in filling a major gap in dendrochronological research in tropical and subtropical regions, because trees in those climates have either complex ring patterns or no visible tree rings at all. 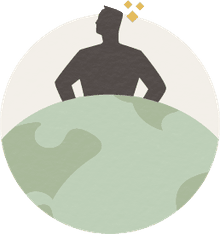 That is an issue because because since global climate change is in progress, we need to understand the physical, chemical and biological processes that effeect terrestrial carbon levels is increasingly important. The tropic and subtropic regions of the world, such as the Brazilian Atlantic Forest of South America, store about 54% of the total biomass of the planet. The best results for standard dendrochronological research are with the evergreen Araucaria angustifolia (Paraná pine, Brazilian pine or candelabra tree), with a sequence established in the rainforest between 1790–2009 CE); preliminary studies (Nakai et al. 2018) have shown that there are chemical signals which trace precipitation and temperature changes, which may be leveraged for gaining more information. A 2019 study (Wistuba and colleagues) found that tree rings can also warn of impending slope collapses. It turns out that trees that are tilted by landsliding record eccentric elliptical tree rings. The downslope parts of the rings grow wider than the upslope ones, and in studies carried out in Poland, Malgorzata Wistuba and colleagues found that those tilts are in evidence between three and fifteen years prior to catastrophic collapse. It had long been known that three 9th century Viking period boat-grave mounds near Oslo, Norway (Gokstad, Oseberg, and Tune) had been broken into at some point in antiquity. The interlopers defaced the ships, damaged the grave goods and pulled out and dispersed the bones of the deceased. Fortunately for us, the looters left behind the tools they used to break into the mounds, wooden spades and stretchers (small handled platforms used to carry objects out of the tombs), which were analyzed using dendrochronology. Tying tree ring fragments in the tools to established chronologies, Bill and Daly (2012) discovered that all three of the mounds were opened and the grave goods damaged during the 10th century, likely as part of Harald Bluetooth's campaign to convert Scandinavians to Christianity. Wang and Zhao used dendrochronology to look at the dates of one of the Silk Road routes used during the Qin-Han period called the Qinghai Route. To resolve conflicting evidence over when the route was abandoned, Wang and Zhao looked at wood remains from tombs along the route. Some historical sources had reported the Qinghai route was abandoned by the 6th century AD: dendrochronological analysis of 14 tombs along the route identified a continuing use through the late 8th century. A study by Kristof Haneca and colleagues (2018) described evidence for the importation of American timber to construct and maintain the 440 mi (700 km) long defensive line of World War I trenches along the western front. Bill, Jan, and Aoife Daly. "The Plundering of the Ship Graves from Oseberg and Gokstad: An Example of Power Politics?" Antiquity 86.333 (2012): 808–24. Print. Fontana, Cláudia, et al. "Dendrochronology and Climate in the Brazilian Atlantic Forest: Which Species, Where and How." Neotropical Biology and Conservation 13.4 (2018). Print. Haneca, Kristof, Sjoerd van Daalen, and Hans Beeckman. "Timber for the Trenches: A New Perspective on Archaeological Wood from First World War Trenches in Flanders Fields." Antiquity 92.366 (2018): 1619–39. Print. Manning, Katie, et al. "The Chronology of Culture: A Comparative Assessment of European Neolithic Dating Approaches." Antiquity 88.342 (2014): 1065–80. Print. Nakai, Wataru, et al. "Sample Preparation of Ring-Less Tropical Trees for δ18O Measurement in Isotope Dendrochronology." Tropics 27.2 (2018): 49–58. Print. Turkon, Paula, et al. "Applications of Dendrochronology in Northwestern Mexico." Latin American Antiquity 29.1 (2018): 102–21. Print. Wang, Shuzhi, and Xiuhai Zhao. "Re-Evaluating the Silk Road's Qinghai Route Using Dendrochronology." Dendrochronologia 31.1 (2013): 34–40. Print. How Does the Radiocarbon Dating Method Work and Is It Reliable? What Happened to the Sun Way Back When?